Interview conducted by Tony Macklin. Audio interview originally published on March 22, 2009 @ tonymacklin.net. Listen to the audio interview with Robert Altman (MP3 format, approximately 8.5 minutes). Following is the article that resulted from this interview. The article is titled "The whole truth and nothing but the truth" and was originally published on July 17, 1976 in The Journal Herald. As readers of this column know, I was distressed when at a press conference in May, director Robert Altman said absolutely that there wouldn't be changes made in the ending of Buffalo Bill and the Indians. I guessed that there would be changes made, and there were. Recently Robert Altman contacted me to set the record straight. In the present interview he explains his position. Altman: I had to contact you and tell you that that was not a lie when I said it. At that point I had no idea of making the change that we made in the ending. When was that change decided? Altman: After I came back to California and started fooling around with it. Somebody here made that suggestion. I learned something from watching the two versions of Buffalo Bill and the Indians. 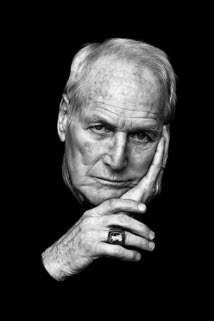 The first time I saw it, I thought the hallucination sequence with Paul Newman was not very effective. The second time, by editing and placement, he looked like a great actor. 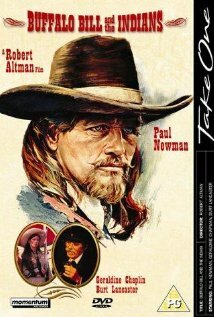 Altman: I think having Sitting Bull's death reported before that scene, in the second version, helped it too, When I answered your question at the press conference -- I probably would have said what I did anyway -- but I was really trying to avoid the attitude that I was asking for ideas or that I was in any way confused about the film. The only thing was that professionally I felt that maybe you could have said "I don't think there will be any changes.," but you said "Absolutely." If I had come back and reported what you told me, my credibility would have been shot, I think. Altman: I agree with you. That's why I contacted you. I was very surprised when I got back when this other idea did come up. What's a problem for me is that the two versions of Buffalo Bill and the Indians are so different. One's explicit and the other's implicit. You are usually implicit. Why were you so explicit in the other version? Altman: Well, I don't know. I really don't. There was a lot of struggling going on between Dino (De Laurentiis, the producer) and myself all that time. I was trying to accommodate him and still serve the film. And you finally decided to serve the film. Altman: Had to. See, the problem we were sitting with is that normally we would have called that press conference off or postponed it. I didn't want to show the film in that condition. I got forced into it by Dino. He said, "You must take this and preview it." That didn't give us time to change it, and we had already set up that press conference. So I had no choice but to show it under those circumstances. And I didn't want to show it in a show of indecision. But I wasn't there to lie about it. I think many of the Altman fans were let down by that picture in its present form at that time. The review of Buffalo Bill and the Indians in Variety declared that you have said the film is a disappointment. Altman: That's not true. Never said that. I think it's probably the best film I've made. You're not just saying that? Altman: No. I think that this film will get picked up. It isn't going to be successful I don't think. But I think it'll get picked up in a couple of years, and it'll be looked back on. You know people talk about McCabe and Mrs. Miller all the time, and they -- including many critics -- seem to forget that when that film first came out very, very few people did anything else but hate it. And now I get, "Oh, McCabe, that was his masterpiece." Even Vincent Canby and people like that who knocked the picture, received the picture badly, now in reviews they go back and say, "in his good pictures like M*A*S*H and McCabe." What's Pauline Kael, who is one of your greatest critical boosters, said to you about Buffalo Bill and the Indians? Altman: Pauline Kael didn't like it very much. She saw it out here after she'd heard about that press conference. She keeps in touch with an awful lot of critics around the country. She has a whole group. And Gary Arnold, one of her proteges, of the Washington Post, didn't like it. Altman: No. I saw Gary. He didn't like it at all. She didn't like it. We showed it to her, but I think we showed it to her under a little too special circumstances. She was disappointed in the film. I guess she has to be very careful about her relationship with you now. Altman: Yes, it's very sticky. I appreciate your contacting me. Altman: Well, those are things that happen. I make statements, everybody does I guess. I get very convinced that certain things are true. I really try, I make a very, very big point of trying not to lie when I talk to anybody about my work. I lie about my personal life. Your work is so mercurial. Altman: Yes. And I try to really not make it mysterious and just say what it is. Because all it is is work. It's another lousy movie. (Laughs) Now you sound like Sam Peckinpah. Altman: Well, it's just another picture to hang on the wall. You know, you hope people like them. I don't dislike them just because they fail. I really like my work (laughs). I like these films that I make. I like all of them.